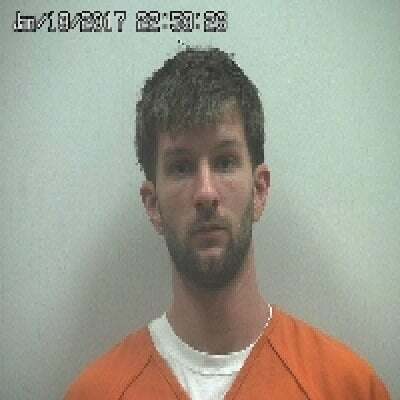 BUCYRUS — A Galion man was sentenced to jail after pleading guilty to a drug-related charge recently in Crawford County Common Pleas Court. Cody T. Holt, 28, 1006 S. Market St., pleaded guilty to one count of trafficking in drugs, a fifth-degree felony, and was sentenced to 90 days in the Crawford County Justice Center and placed on five years of community control. Judge Sean Leuthold also ordered Holt to pay a $1,250 mandatory drug fine and to successfully complete a drug treatment program as part of his probation. A Nevada man was sentenced to four years in prison after he admitted to violating the terms of his probation. Brian A. Auck, 36, admitted to consuming alcohol and being obnoxious with law enforcement officers. Leuthold sentenced Auck to the maximum time in prison for his original offenses of two counts of trafficking in drugs and possession of drugs that he was convicted of in 2015. Auck may be eligible for early release if he maintains good behavior in prison.